Baroque architecture, surrounding vineyards, and cobblestone streets make this one of Slovakia's most attractive cities. The capital city is bordered by Austria and Hungary and offers tourists everything from 15th-century castles to modern cafes and restaurants. Throughout the year, Bratislava enjoys a variety of events and celebrations in its streets. The fact that both old and new exist in harmony in one single city is something to admire about Bratislava. The Bratislava Castle, St. Martin’s Cathedral, and Museum of Jewish Culture are some of the top sights and attractions of this wonderful city. Whether you’re looking for a travel adventure or a fun family holiday, Bratislava has everything and more. Walking tours are a perfect way to see Bratislava and its attractions it all in a short amount of time. Check out some of the free walking tours that are available throughout the year, and enjoy everything that Bratislava has to offer free of charge! Run twice daily, this 2.5-hour free walking tour is ideal for the first time visitor to Bratislava. Learn about Slovakia's culture, traditions, and history from some of the most knowledgeable, friendly, and fun tour guides in the area. You can book in advance for parties of over eight people, but most tourists can just show up without reservation. The town's own Culture and Information centre hosts its own free walking tour of the Old Town. 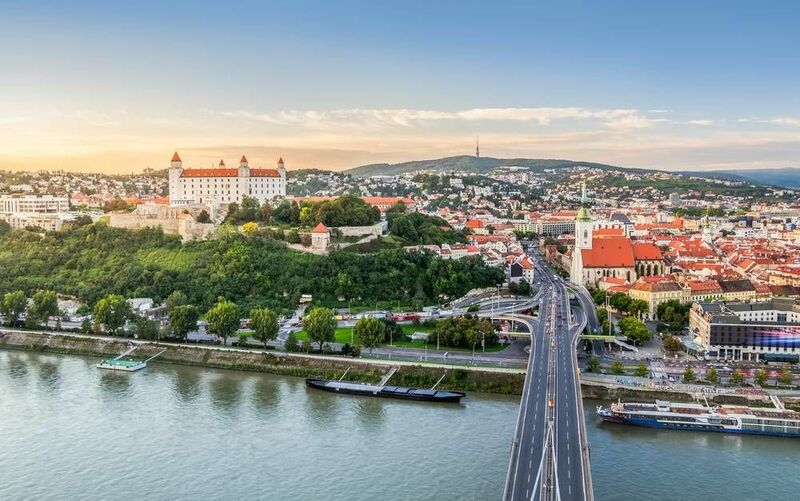 Learn everything you need to know about the Bratislava Castle, its history, and its surroundings. The tour is held in English, but additional languages can be arranged upon request. The Bratislava Tourist Information Centre offers city guidebooks that can be used to design your own self-guided city tour of Bratislava. Find them at the Bratislava Tourist Information Centre in the Primatial Square. Below you can find more popular (but not free) activities and tours in Bratislava. Are you from Bratislava and want to be a tour guide? Please get in touch by submitting your details on this page!